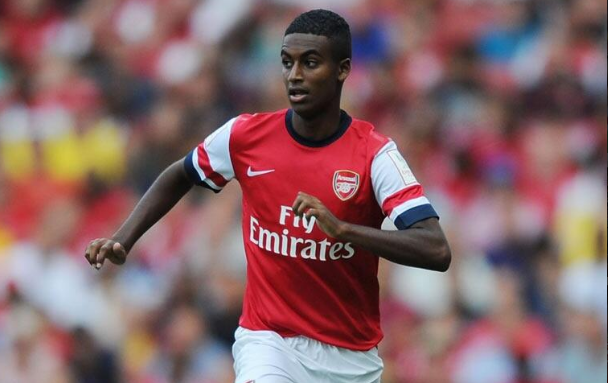 Don’t forget about our hidden gem Zelalem! This week I look at one of Arsenal’s most promising young talents and remind people that he does indeed still exist! After first hearing about a 16 year old being kept under wraps early last season, I began to become both excited and curious as to who the player was. 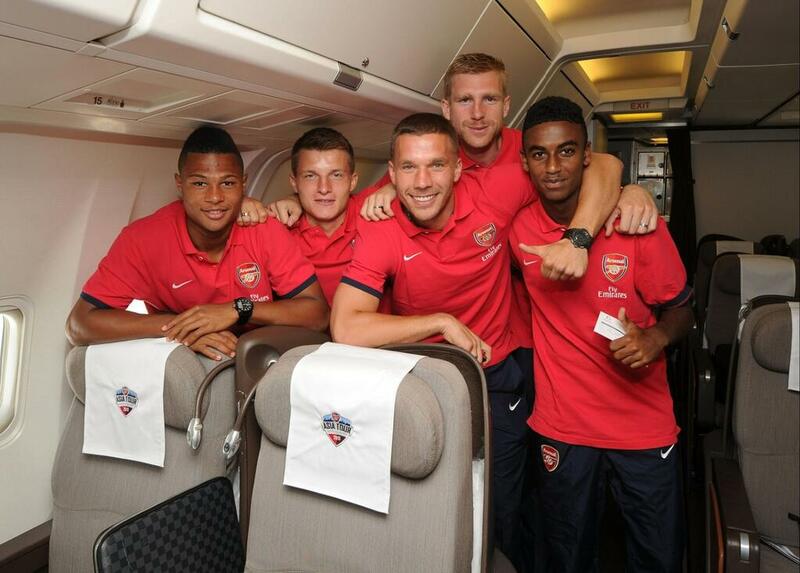 As last season wore on, I took a more fervent interest in the Arsenal youth set-up and the stand out talents on show. Gedion Zelalem really came to light when he got permission to work in the UK, as this meant he was able to play up to senior level. Being able to offer Zelalem a higher level of football than his age indicates was always part of the plan as he was viewed to be a special talent. Now it seems that Wenger is willing to give this 16 year old a chance to show what he can do on the big(ger) stage. However, after a hugely impressive showing on the Asia Tour, albeit against much weaker opposition, Zelalem suffered a set-back via injury. His absence outlasted the period that this Arsenal side’s involvement in the English League Cup. It seems a real shame that it did because the competition would have most likely been the young midfielder’s best opportunity at gaining first-team experience, as tends to be the case with many youngsters at the club. Gideon & Jack – The future? Zelalem is back in action now, for the under 21s at least, and we still have a lot to be excited about even though we may not be seeing him in the first team set-up as much as we would have liked or expected. With that in mind, I want to explore the player himself, the pressure he may encounter and how he could be influenced. Gedion Zelalem is German (of Ethiopian decent), but he is eligible to play for either the USA (if he gets a passport) or Germany at senior level, which he may be pushed to decide upon in the coming couple of years. Playing for the German national side is more preferable for his club career, as being an EU citizen grants him the work permit he only recently got and he seems to be leaning that way, having played for the Germany U17s already. In 2006, his family moved from Berlin to Washington D.C. and he was spotted playing in the USA for Olney Rangers Soccer Club (Maryland) by an Arsenal scout. The Arsenal coaches wanted to put him straight into the U21s, where they felt he would be most at home and thrive (according to his extraordinary level of ability). However, the delay of Gedion being granted a work permit meant that he had to wait until near the end of last season to make his first appearance. This worked out in the sense that the club found it easier to keep him quiet. But now that he’s showcased himself in front of all the worlds media, the attention will begin to increase and intensify as journalists and the likes keep tabs on his every move. That may seem like some serious pressure for a 16 year old boy, however Gedion seems to have a certain level of composure about him, both on and off the pitch. He is used to dealing with new surroundings as result of his move to the USA from Berlin and to London from the USA. The injury he is only now returning from and the fact that he may not see as much first team action as he thought as a result of Arsenal’s League Cup exit may buy him some more time. More time away from the viscously fickle English media who can rocket a player up to the stars before sending him crashing back down into the dirt. But he won’t be able to avoid the limelight for very much longer if he continues to improve and showcase his wonderful footballing ability. 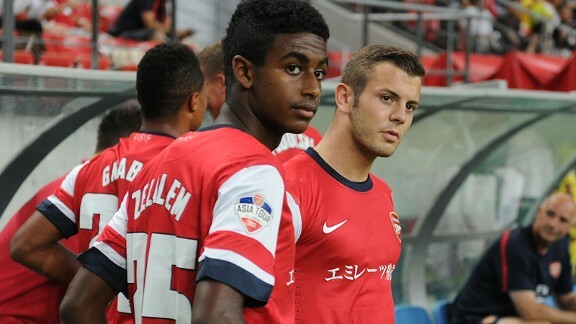 Often compared to Cesc Fabregas, Zelalem is a number 10, a playmaker. As Arsenal fans saw in pre-season, he is comfortable in possession, keeps his head up and has the ability to pick a killer pass. In that respect he is similar to how Cesc was in his early Arsenal days. However, I actually think that it would be easier and more appropriate to draw similarities between Gedion Zelalem and Mesut Özil. 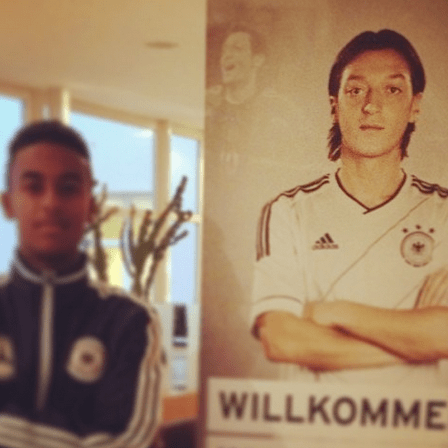 The 16 year-old has displayed a clear idolisation of Özil through his Twitter account; Zelalem stated that Özil to Arsenal would be a dream come true long before it actually happened. As a fellow German and a similar player, it’s easy to see why Zelalem would look up to Özil and relish the opportunity to train with and learn from him. Fabregas was in a similar position to Zelalem at his age, albeit surrounded by even more top talent. Fabregas had the likes of Bergkamp, Viera and Pires to learn from and now Zelalem has the likes of Özil, Cazorla and Rosicky. It’s a healthier environment to be in than a lot of people tend to think. Some would say that Zelalem might be drowned out or stifled by big names making their mark at the club, when in fact, from looking as Cesc as an indicative example, having them around will only improve the youngster. As with any young player, no matter how special they’re said to be, we must approach with caution, as it were. Gedion Zelalem has given us glimpses of his potential and seems a hot prospect, but for now we can only hope that he stays fit, keeps improving and gets a few chances to prove himself at the top level. He still has a way to go and looks like he may need to work on his strength, but that will be dealt with carefully by the coaching and fitness staff, as Gedion is still only 16 and still developing physically. I’m a 20 year old student and lifelong Arsenal supporter residing in North West London. From the North Bank Highbury with my old man – when I was knee high to a duck’s arse! – to Club Level at the Emirates, and now having to find my own means of following The Arsenal, I can’t keep myself away from the alluring red and white… After recently discovering a passion for writing about The Arsenal that matches my passion for supporting them, I’ve written numerous articles for various Arsenal blogs. In ‘Welcome To The Gunners’ Town’, I now have a place where I will be writing on a regular basis. Through the highs and the lows, the cheers and the jeers, I hope to provide my own balanced opinion and commentary on all things Arsenal. “Once an Arsenal man, always an Arsenal man” … Amen, Bob Wilson. Amen. Legend Skipper returns, 6 goals scored and round of 16 place secured! 4 Responses to Don’t forget about our hidden gem Zelalem! There’s no doubt that the lads a talent and he’s generating a huge buzz in the Gooner world. But let’s not build him up too much too soon. We need to let him develop at his own rate. He is only 16 but the Asia Tour has shown he has amazing vision and talent. I hope he can make the league cup next season! I would like to see him playing, whenever he is ready and being given a chance to impress he is a real talent, with a capital”T”.